Israeli Prime Minister, Benjamin Netanyahu has been requested by the Egyptian President, Mr. Abdel Fattah al-Sisi to intervene in the Grand Ethiopian Renaissance Dam crisis so as to assist in solving the dispute between the two nations. “Mr. Fattah al-Sisi has recently asked the Israel Prime Minister to help them resolve its Renaissance Dam dispute with Ethiopia due to Ethiopia’s intransigence and negation to react to the Egyptian requests to coordinate efforts during the construction and storage stages,” said a report. Ethiopia believes that the national mega project will help lift its economy which is deteriorating. However, an Egyptian diplomat warned against al-Sisi’s move, pointing out that it could result to the full transfer of the Nile water to Israel since the present and former Israeli leaders have been calling for these discussions from the time when the Camp David agreement was signed. The cities of Addis Ababa and Tel Aviv have in the past enjoyed close economic ties with each other where Israel has been providing a number of grants to Ethiopia over the past years. The GERD has been experiencing strained relations between Ethiopia and Egypt since building began in 2011. 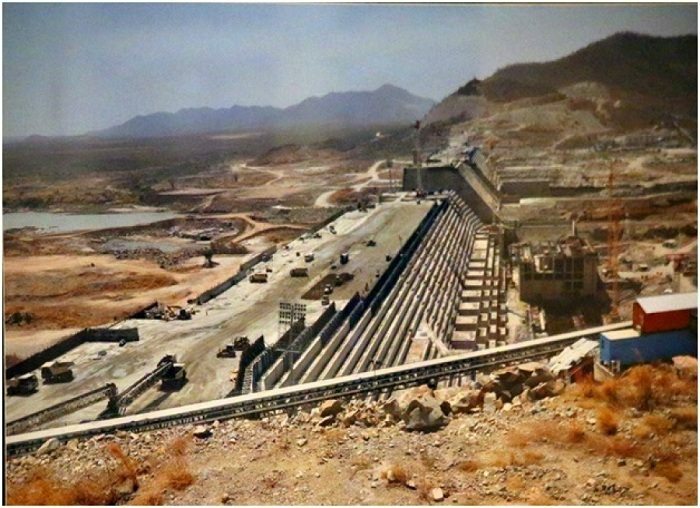 The Grand Ethiopian Renaissance Dam (GERD), once known as the Millennium Dam and sometimes called the Hidase Dam, is a gravity dam located on the Blue Nile River in Ethiopia presently under construction. It is in the Benishangul-Gumuz Region of Ethiopia, about 15 km east of the border with Sudan. At 6,000 MW, GERD is projected to be the largest hydroelectric dam in Africa when completed and the 11th largest in the world sharing the spot with the Krasnoyarsk Dam- a 124-metre high concrete gravity dam situated in Russia built on the Yenisey River. As of the beginning of 2016, the dam was 70% complete; this is according to the Ethiopian government.